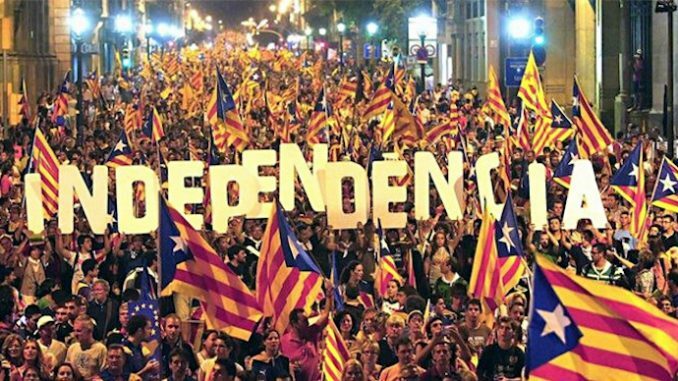 Catalonians are rising up in their millions against a ruling class that is determined to take away their rights. There is anarchy on the streets of Spain, the military has been unleashed to enforce the will of the authorities, and mainstream media is attempting to suppress the scale of events. 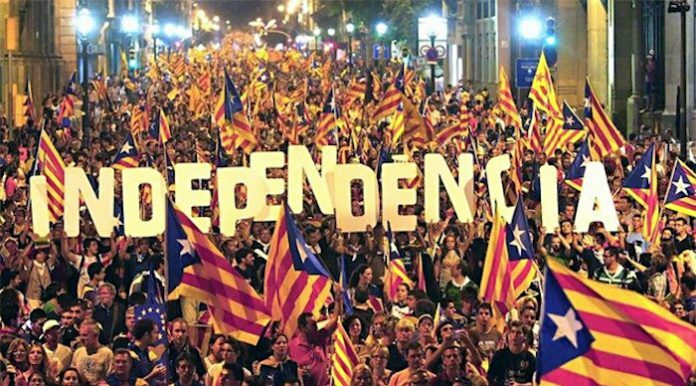 With 83% of Catalans expected to vote for independence from Spain and the European Union, the ruling elite have come down hard on the people, disrespecting their right to a democratic vote, and using the military to seize communications headquarters and polling stations. Thousands of Catalonians have fought running battles with militarized police this week, with the authorities granting the military and police the right to use force to destroy the movement. Catalan, a region of Spain that includes Barcelona, is an independent region featuring ethnically distinct people who speak their own language. 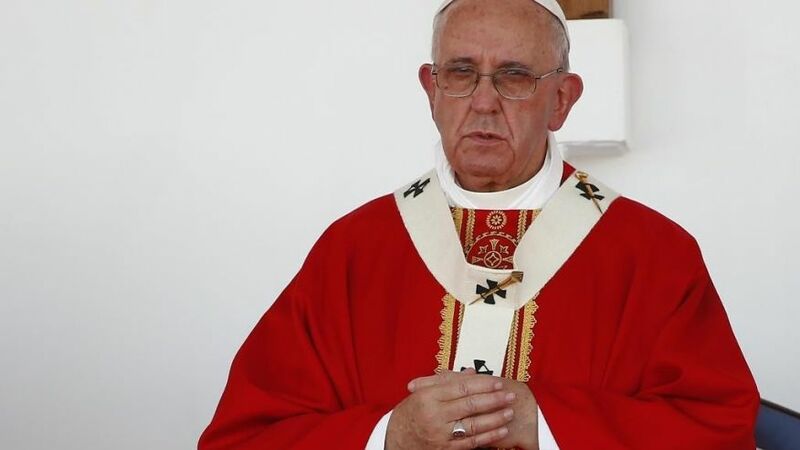 They are seeking independence from Spain in much the same way Poland gained independence from Germany and reclaimed their land, national culture, and traditions. Scene from Barcelona, the capital of Catalonia, days before Sunday’s historic and troubled referendum. The protestors in Barcelona and the rest of Catalonia represent all working class people united, mobilized, and resisting the greed of the European elite. Spain’s central government has been working with the European Union to march the nation, hand in glove, towards the New World Order. In the globalists’ vision of the future, there is no place for sovereign nations with their own laws and traditions. Police have sealed off more than half of the 2,315 schools in Catalonia designated as polling stations for the independence referendum as tensions rise ahead of the historical ballot. 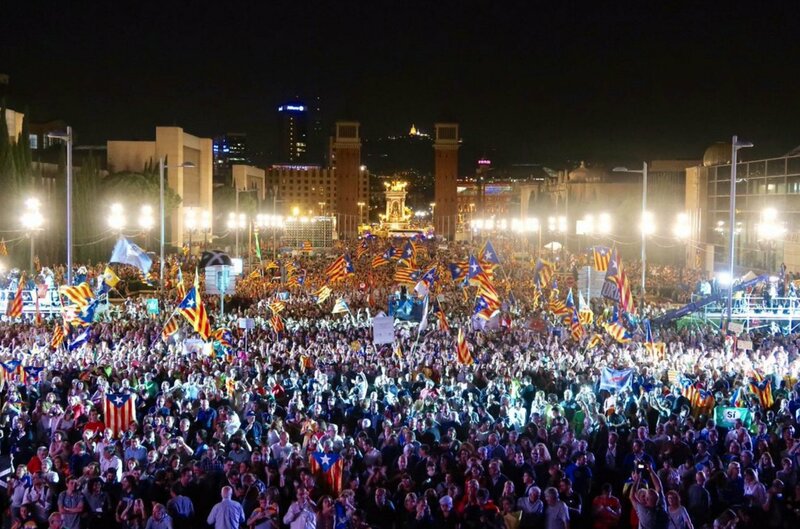 But European mainstream media, operating under the tight control of the European Union, continues to suppress information regarding the scale and intensity of the revolution taking place on Catalonian streets. Taking moves straight from the pages of the New World Order guidebook on tyrannical control, Spanish authorities have responded by attempting to crush the spirit of the people, unleashing the military, firing shotguns at polling booths, and arresting key figures from the independence movement. 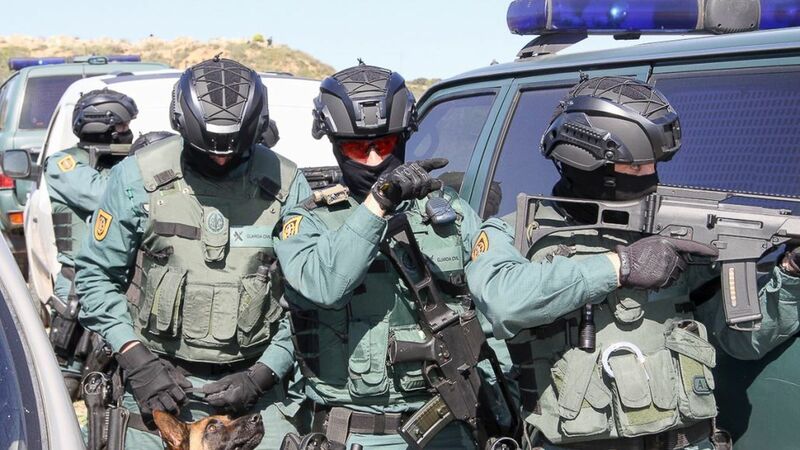 The Spanish government, desperate to silence the will of the people, has moved 300 “Navy Seals” into Barcelona as part of their voter suppression tactics. While the world is looking the other way, the elites are taking away people’s rights and the military is shedding blood in European streets. The New World Order, determined to take away everybody’s right to freedom and independence, is using Spain as a testing ground to see how much they can get away with. Will the people continue resisting and rise up against the indignities heaped upon them by their tyrannical government, or will they seize their right to determine their own futures, set their own laws, and protect their own borders? The future of Europe and the New World Order masterplan is being fought on the streets of Catalonia as we speak.